℗ 2013 The Verve Music Group, a Division of UMG Recordings, Inc.
"Of the many live albums Nina Simone released, this one stands out as her greatest." "The strong emotional approach would become another characteristic in her art. She uses her voice with its remarkable timbre and her careful piano playing as means to achieve her artistic aim: to express love, hate, sorrow, joy, loneliness, the whole range of human emotions, through music in a direct way." 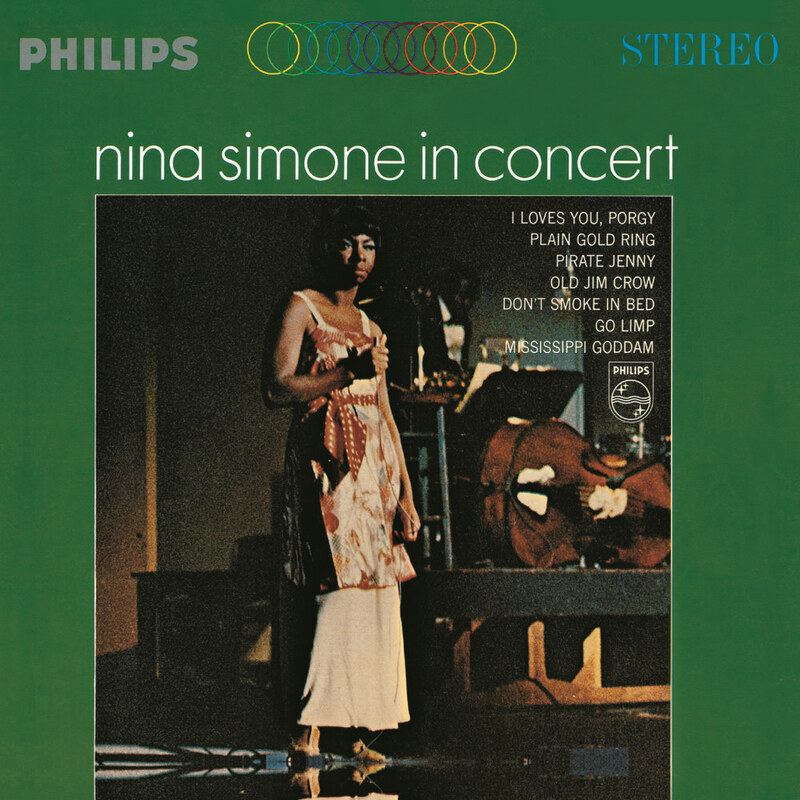 Consisting of three different recordings Simone made in Carnegie Hall in 1964, this served as a sequel to Simone's previous live album from 1963, also recorded at Carnegie Hall. Nina Simone In Concert marked the beginning of Simone's civil rights activism and includes her protest songs Old Jim Crow and Mississippi Goddam. The bitter and angry Mississippi Goddam was written as a reaction to the assassination of civil rights leader Medgar Evers and the deaths of four African-American children in a church bombing in 1963. The song became a civil rights anthem and is one of the many that Simone would write dealing with the reality of race relations in America.